Download Torrents: Le VPN helps you download anonymously. Using torrent is one of the most popular ways of streaming content online. Gone are the days when you would have to wait for an episode to be released or for a movie to hit the theatres. Instead, you can just go online and download torrents with ease. Tough Time To Download Torrents? However, recently, due to the massive surge in the popularity of torrent websites, certain agencies and organizations are going out of their way to shut it down. Accusing these websites of piracy, these agencies have made it illegal for people to download torrents using these websites. It looks like 2018 will be a tough one for all torrent websites. Just to inform you, the Pirate Bay is the world’s popular torrent portal. However, if you want to access or download torrents, you want a virtual private network (VPN). Le VPN is one reliable VPN for torrenting. How To Download Torrents Anonymously? Use VPN: You could always use a VPN server or a VPN router. A virtual private network would route off your internet services to another location, thus masking your actual IP address. And if you want to access the same via your Android phone, you need a VPN android. When you connect to the internet using a VPN server, your IP address is routed off to another location. The VPN acts as a kind of middleman which sends the request to access a certain website from another location. That means, if you are geo-restricted from accessing certain websites, these bans would no longer be applicable to you. 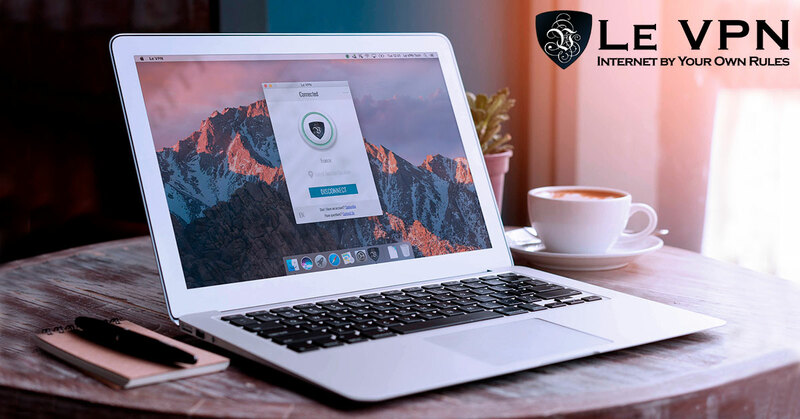 When you use Le VPN’s reliable VPN service, your data would be in an encrypted format. That is a massive advantage because one, your data will not face the threat of leaks or hacking and two, this prevents you from being tracked. If the ISP want to track you down and record your online activity, they would only be shown the encrypted data – which cannot incriminate you under any circumstances. Proxy server: You could use a proxy server. A proxy server or browser is the best way to browse something online anonymously. This shields and hides your identity. Look, whenever you browse something online, it is tracked and then recorded by the internet service provider or ISP. This is possible with the help of your IP address. But a proxy server would hide your IP address, thus making it impossible to track you down. There are IP address protection tools which may help you hide your IP address. Now while this isn’t mandatory, it is always better to be safe than sorry. Extra protection wouldn’t harm anyone. How To Use A VPN To Download Torrents? It is well a well-known fact that not all countries accept Torrent. If you are looking to use a virtual private network, the best VPN to download torrents is in a country like Luxembourg or the Netherlands. These countries are Torrent friendly. Places in the US and the UK are famous for heavy monitoring techniques. As it turns out, using a VPN is the best and most reliable way to download torrents. Also, it is the most legal way to download torrents. So what are you waiting for? Just subscribe to Le VPN and download torrents. Le VPN is very affordable. You can subscribe to the 2-year service of Le VPN for $69.60.